Mr. Mohamed Hussain is one of the pillars of Auditor General’s Office with over 30 years of service since 1978. He had the privilege of working with five Auditors General at the top management. 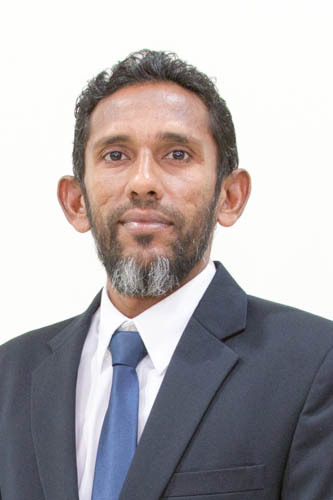 Mr. Mohamed Hussain is a principle centred-leader who is emulated as a role model in work ethics and personal integrity with significant contribution to AGO. The AGO is indebted for Mr Mohamed Hussain’s immense and invaluable contributions to the development of this organization. 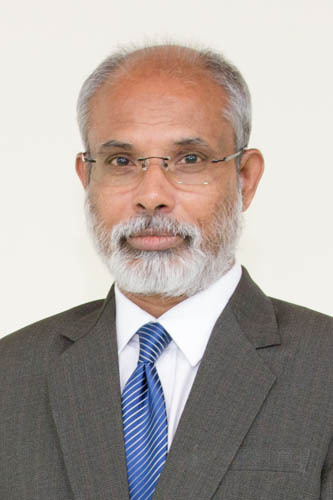 Hussain Niyazy was appointed as an Assistant Auditor General in 20 December 2011. He is currently heading the Financial Audit Division mandated with the financial audits of public sector accountable agencies and State Owned Enterprises. He is also the Chair of the Licencing and Disciplinary Committee with the responsibility for regulating the private sector audit profession. He is a Chartered Management Accountant (ACMA) with over 15 years of experience at the AGO. Mr. Ibrahim Aiman is currently the Assistant Auditor General at AGO, in charge of the Value for Money, Compliance and Special Audit Division. Aiman has served AGO for 12 years, during this period he has served at different levels of AGO starting from the Assistant Auditor Post. Before assuming the post of the Assistant Auditor General he was the Director for Compliance and Special Audit. He has spearheaded vital audit assignments which lead to criminal investigation and prosecutions. Aiman has witnessed the transformation and modernisation process of the AGO and has been a key figure in the process which commenced after the enactment of the Audit Act in 2007. 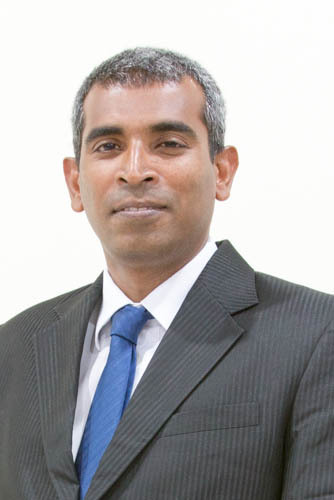 Prior to joining AGO, he has served at the Ministry of finance and Treasury for four years and was actively involved in the formulation and compilation of the national budget and the National Procurement section at the Ministry, hence Mr. Aiman is well versed with the public financial management. Mr. Aiman is also an IDI-PSC ISSAI accredited facilitator for Compliance Audit and has delivered various capacity development programs to the SAI’s of Asia and Pacific Region. Aiman has completed his Bachelor’s Degree in Commerce and has Master’s Degree in Finance.